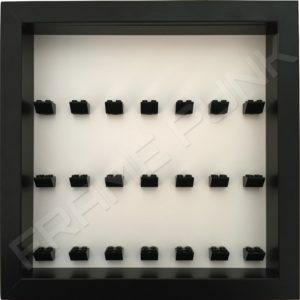 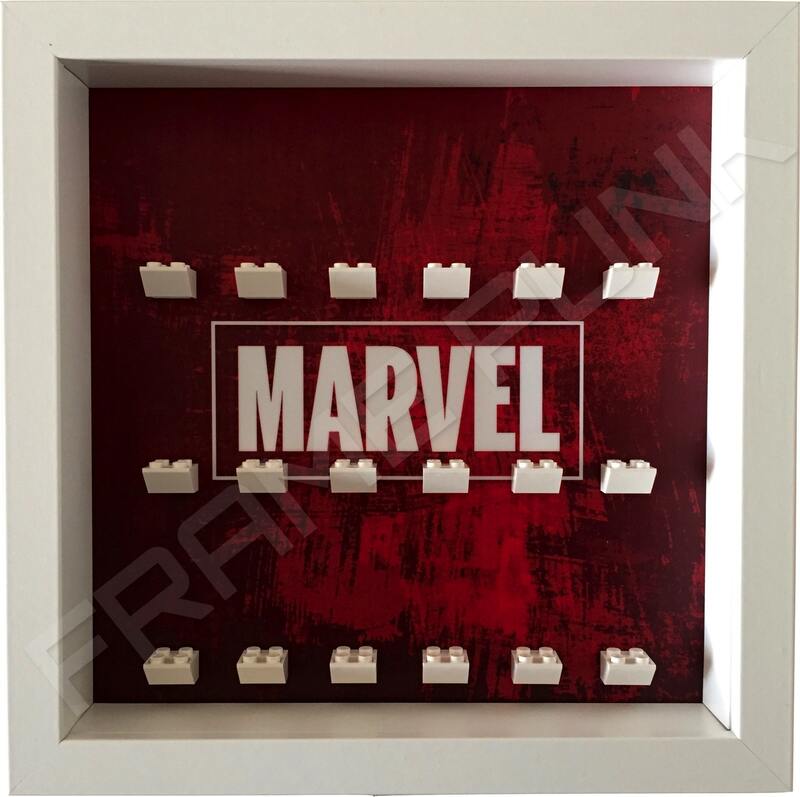 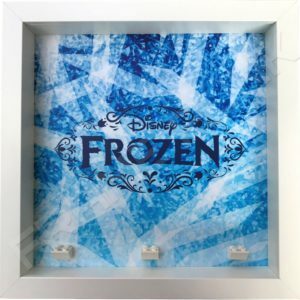 Extra deep white frame with removable front panel. 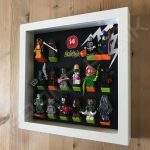 Complete set of LEGO minifigures series 14. 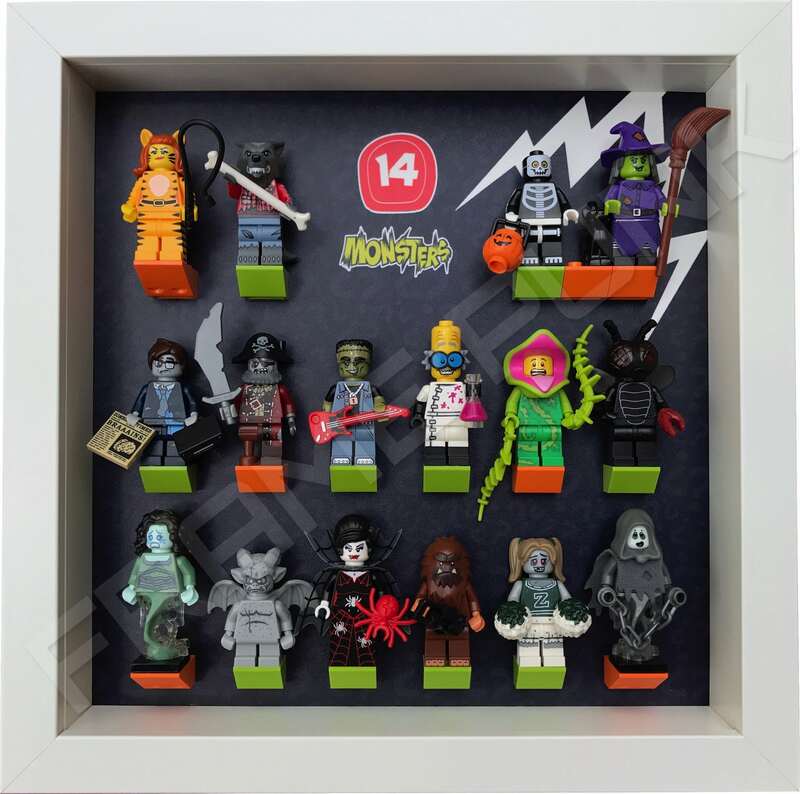 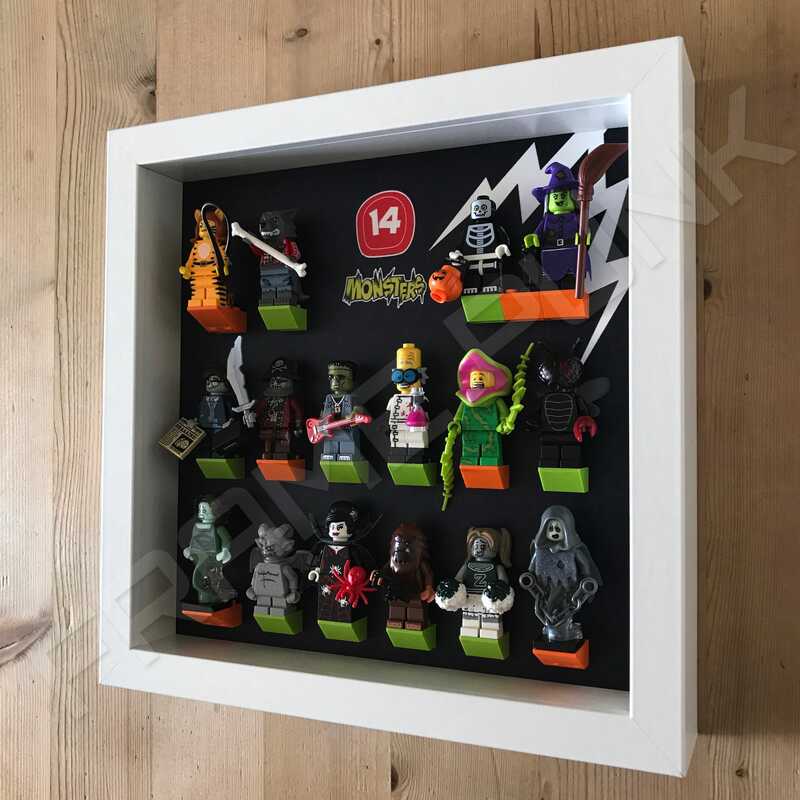 The monsters of LEGO minifigures series 14 are great fun and look well at home within our custom made spooky frame.